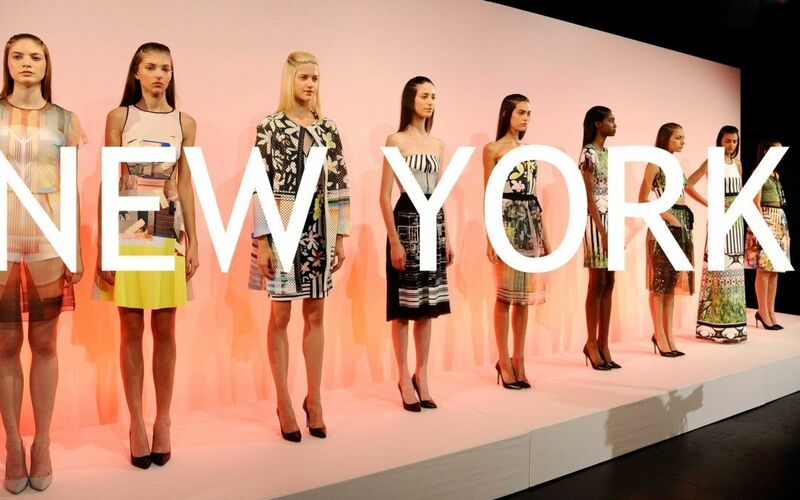 After the Mercedes Benz Fashion Week in Madrid and the Barcelona fashion week, New York arrives full of contrasts for this year. The Spanish designer has been inspired by the Russian ballets exiled in Spain during the First World War. 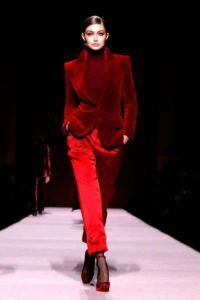 This is the velvet suit mixed with satin fabrics worn by Gigi Hadid. The designer has been inspired by minimalism and dark colors in this collection. In contrast, he has also opted for pastel tones and metallic fabrics. Ethnic designs and openings with metallic touches and neutral colors. 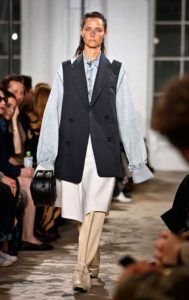 Oversize, asymmetric, denim and tacks. With this white look he has softened his colorful prints and his exotic embroidered boots. Romantics and very feminine dresses for this season, following its characteristic line. Comfortable outfits perfect for going to work, broken white and pastel shades. Mix of different fabrics in the same garment in contrast to other romantic designs in shades like lilac. Two-piece suit jacket in broken white, noted for its elegance and bet on other sexier tones such as red. The 50th anniversary of the brand was celebrated and then the most exclusive party in the Big Apple. He followed his line of characteristic prints and in the lower part of one of the designs the American flag was embroidered. 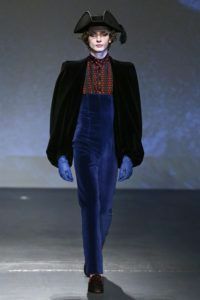 His breakthrough collection that did not leave anyone indifferent, opts for fluorine colors and very demanding details.